No Maple Leaf has led the league in scoring since the Art Ross Trophy's inception in 1947-48. The last Leaf player to lead the NHL in scoring was Gordie Drillon in 1937-38 when he scored 52 points in 48 games. Charlie Conacher won the scoring title back-to-back in 1934 and 1935 with 52 and 57 points respectively. Other Maple Leafs winners include Harvey "Busher" Jackson in 1931-32 and Ace Bailey in 1928-29, while Cecil "Babe" Dye won it twice as a member of the Toronto St. Pats. In recent years, the closest the Leafs have gotten to this trophy have been with Mats Sundin and Doug Gilmour. Sundin finished 4th in scoring with 80 points in 2001-02, and Gilmour finished 4th in 1993-94 when he scored 111 points. No Maple Leaf has won the Maurice Richard Trophy since its inception in 1998-99. The last Maple Leaf to lead the league in goals was Gaye Stewart in 1945-46 when he scored 37 goals in 50 games. Other former winners include Gordie Drillon who won the same year he captured the point scoring title in 1938, and Bill Thoms who tied with teammate, Charlie Conacher in 1935-36. That was Conacher's 5th goal scoring title as a Maple Leaf, with the other wins coming in 1931, 1932, 1934, and 1935. Ace Bailey won that same year he won the point scoring title in 1929, and Babe Dye would take down 3 goal scoring titles in 1921, 1923 and 1925. The closest Leaf to winning the goal scoring title in recent years was Dave Andreychuk in 1993-94 when he scored 53 and finished 4th to Pavel Bure's 60. Rick Vaive has the single season goal record for the Leafs with 54 in 1981-82, but even then it was only good enough for 5th in the NHL thanks to some guy named Gretzky scoring 92. No Hart Trophy winner for league's most valuable player since Ted Kennedy in 1954-55. Kennedy had intended to retire, but was talked into playing that season by Conn Smythe to help a young Toronto team. While only putting up 10 goals and 42 assists, Kennedy still received the Hart, becoming the 2nd forward to win the award without finishing in the Top 10 in scoring since Frank Nighbor. Babe Pratt also won the Hart in 1943-44 after the defenceman finished 13th in scoring with 57 points. Since then, Doug Gilmour has come the closest to capturing the award when he was runner up in 1992-93 after scoring 127 points, but Super Mario took home the Hart after coming back from cancer and putting up 160 points in 60 games. No Vezina winner for the top goaltender since 1965 when Johnny Bower and Terry Sawchuk allowed the fewest goals against in 1964-65. During that time, the Vezina was awarded to the team whose goaltenders allowed the fewest goals against, and since Bower and Sawchuk split time and played the minimum 25 games they shared the award. Four years earlier in 1961, Bower won the award all by himself after posting a 33-15-10 record and 2.50 GAA. Seven years before that in 1954, Harry Lumley took home the Vezina after posting an impressive 1.86 GAA an 32-24-13 record in the blue and white. In 1951, Al Rollins would go home with the trophy after posting a 1.77 GAA through 40 games in which he had a 27-5-8 record. 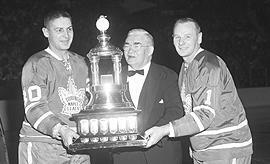 The first Maple Leaf to win the award in 1941, Turk Broda, would also win again in 1948. The Leafs had a good stretch of goaltending before the lockout as Ed Belfour was a Vezina runner-up in 2002 when he first landed in Toronto, eventually losing to Martin Brodeur. But, the more memorable runner-up was that of Curtis Joseph who finished 2nd in voting in 1999 and 2000 when the NHL Awards were hosted in Toronto. After Dominik Hasek and Olaf Kolzig were announced as the winners in those years they were booed and chants of "Cujo, Cujo!" rang out. No Maple Leaf has ever taken home the award for best defenceman since its inception in 1953-54. Thanks to guys like Bobby Orr (8 wins), Doug Harvey and Nicklas Lidstrom (7 wins), and Ray Bourque (5 wins); this trophy is pretty hard to take home - just ask Mike Green. NHL 12 Legend, Borje Salming, was probably the closest the Leafs have come to the Norris, as he finished 2nd in voting during the 1976-77 and 1979-80 seasons. Babe Pratt was another solid defenceman who probably would have taken home this award in 1944 had it been in play, so he took home the Hart Memorial Trophy instead. The last winner was Brit Selby in 1965-66, and that one is nothing to brag about as he only scored 27 points in 61 games. This was the lowest point total since 1938 when seasons were 48 games long. Selby had a points per game average of 0.337 - the lowest average by a Calder winning forward ever. The Leafs have a long list of Calder winners so we'll just spill them out: Kent Douglas (1963), Dave Keon (1961), Frank Mahovlich (1958), Howie Meeker (1947), Frank McCool (1945), Gus Bodnar (1944), Gaye Stewart (1943), and Syl Apps took home the first ever Calder in 1937. Awarded to the player who demonstrates the best sportsmanship and gentlemanly conduct combined with a high standard of play is the Lady Byng - the most recent trophy taken home by a Maple Leaf. Alexander Mogilny won the award in 2003, but it was Pat Quinn who took the award home. Mogilny did not want to win the award, calling it a consolation prize he did not need - so he didn't show up the ceremony. This sparked some comments from former two-time winner as a Maple Leaf, Dave Keon. Keon took home the Lady Byng in 1962 and 1963, and wasn't pleased that Mogilny thought it was a meaningless award. The year before Keon won, Red Kelly took home the award in 1961 after scoring 70 points and only amassing 12 PIMs. Sid Smith won the award twice as a Leaf in 1952 and 1955, and Syl Apps added to his Calder Trophy by capturing the Lady Byng in 1942 with a penalty-free season. Gordie Drillon who was the scoring leader in 1938 played with sportsmanship that year with only 4 PIMs making him a shoe-in for the Byng. The Leafs first recipient of the Lady Byng was a little guy named Joe Primeau. At 5'11" and a 153lbs, Primeau scored 50 points and somehow managed to win the award with 25 PIMs to match. With Brian Burke at the helm of the Leafs, we're not sure if he'd want any of his belligerent players taking home this anti-truculent award. 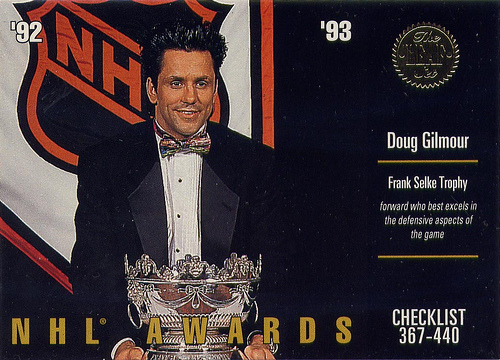 Awarded for the best defensive forward, only one Maple Leaf has won the Selke since its 1977-78 season inception - Doug Gilmour. 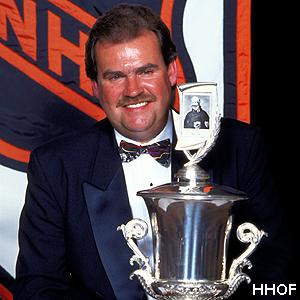 Dougie won the award in 1993 bringing Toronto it's major award a Leafs player had won since 1967. Scoring 127 points and putting a +32, Killer was an offensive and defensive catalyst that season leading the Leafs to the Conference Finals. Awarded to the coach adjudged to have contributed the most to their team's success, the Leafs are flying solo on this one as well. Luckily, the Leafs have an outstanding member to respresent them in Pat Burns during the 1992-93 season. Burns is the only coach to win the Jack Adams three times, and he did it with three different teams. Burns was a fan favourite behind the bench in Toronto and his absence from the hockey world is greatly missed. The closest the Leafs have come since Burns was Pat Quinn who made an immediate impact during 1998-99 season taking the Leafs to the Conference Finals and earning himself a Jack Adams nomination. We're sure many Leaf fans would be shocked if Ron Wilson won this award even if he led the Leafs to the President's Trophy. We're well aware of Jason Blake's 2008 Bill Masterton Memorial Trophy for playing a full NHL season with chronic myelogenous leukemia, however the Masterton isn't an award we wish for anyone to win considering they would have to have had something bad to happen to them and the Masterton isn't considered one of the "major" NHL awards to win. What Maple Leafs have the best chance at winning one of these awards in the near future? Very interesting post! Great read. 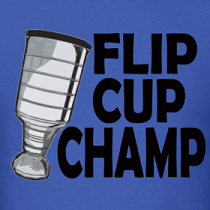 Still find it amazing Dougie won back-to-back Selke's after putting up so many points. Unreal. Possibly Phaneuf to win the Norris, Kessel as a long-shot to win the Richard. I don't think either of these to be LIKELY as much as POSSIBLE. Do you wish you could go back in time and no post this stupid comment? Mats was good but didn't win anything. 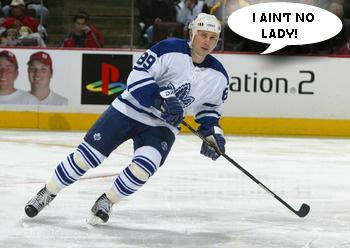 Let's hope Kessel and Dion bring some hardware home this year.